Selling a vehicle can be a hassle. Aside from the legalities of the sale, there are many things to contend with. Fixing and repairing the vehicle is most often necessary, finding a buyer and negotiating a price. The ordeal makes many vehicle owners wait until their vehicle loses value. Vehicle owners who have heard of Cash for Cars Pakenham, don’t have to wait. We buy cars of every condition, every make and model and every age. We pay our customers up to $9999 instant cash on each car removal. 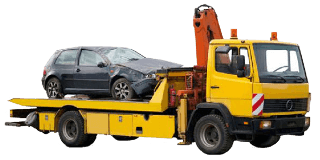 So, what is a car removal Pakenham? And, why should you consider it when selling your car? Have a look. Whether they pay cash on the spot- most car removal companies pay cash on the spot. If they don’t then find like Cash for Cars Pakenham that does! Free Car Removals– While a car removal company is buying your vehicle, they should never charge for a towing, service or disposal fee. A company that is a licenced used auto trader, buyer and wrecker. 24 Hour Car Removals – most car removal companies work around the clock to ensure their customers convenience. When you contact a car removal company, you can expect to submit a few details about your vehicle. Most car removal companies only require a few details, and if they don’t, they don’t have the professionalism or knowledge on vehicles to ensure you get what your vehicle is worth. The removal company should ask you specifics like the make, model, age and condition of your vehicle. They should also ask whether the vehicle is registered or un-registered. With that information, they should be able to provide you with a fast instant cash for cars offer, and they should bring that offer with them at the time they perform your free car removal. One of the biggest hassles with selling your vehicle is the paperwork. When you sell your car to Cash for Cars Pakenham, we bring all required paperwork with us. Your only obligation is to provide us with a photo ID and the pink slip to your vehicle. When your vehicle no longer runs, or you can’t find a buyer to sale your existing vehicle to upgrade to a new model, why hassle with it? Cash for Cars Pakenham offers full value of vehicles up to $9999. Our car removals are always free and always performed by professional car removal specialists. For a fast and friendly car removal that is on the house, just let us know a few details about your vehicle like the make, model, age and condition of the vehicle and we’ll give you an instant cash for car offer. If you accept, gather up your photo ID and your pink slip and we can be on our way to make the exchange. We can also be reached via our “Instant Cash Offer” form located on this page.